We have some amazing things happening in February, March, and April. Come read up on what’s new, see and read the artistic contributions of others, and print out your calendar of events for February! Remember this is your newsletter, so feel free to submit your expressions of spirit. Over the last few weeks, Zoe and I have experienced a few changes in our lives. Changes in the way our office is structured and organized, loss of a family member, change in eating choices, and other changes which have affected us, to varying degrees, emotionally, mentally, physically, and spiritually. 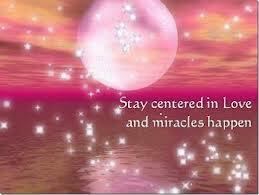 Some of the changes we knew were coming, others seemed to occur with little notice and others seemed to manifest out of thin air. Whether we believe the change is for the better or the worse, we cannot avoid change. It is part of our existence as human beings. As I think back over all the changes, which have occurred over my life, I have come to realize that there were some changes I was more aware of then others. I am not aware every time a cell in my body is changing. I am not aware every time blood is flowing through my veins. I am not aware of all the things my body seems to do for me until there is a change in how it is or has been doing it, then I become aware. The other day I was cooking preparing to make some pasta sauce and found myself out of oregano. 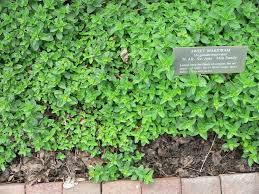 When searching out a substitute, I was led to marjoram. In the process, I came to learn that they are of the same herbal family. Most everyday cooks have oregano or marjoram in their cabinets, not realizing they are quite similar and nutritious of any by themselves and have a long history of spiritual and medical benefits. As I sat and looked at this bottle of marjoram, I began to think about how little we know about the history hidden within these spice bottles. How much of the history of herbs has been hidden from us, begging to be revealed to us. When we open the bottle to use them, it is not just an invitation to season our foods, but to open ourselves up to hearing the story and history of these herbs. Develop a mind that functions freely, without depending on anything or any place. 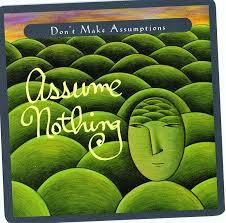 My friend Jane, who I mention quite often in my gratitude journal and who inspired our affirmation card ministry, send me a funny story which is all about what happens when we make assumptions. This is her story. My friend, Ingrid, and I made these candleholders. We made 6 in total. They are put together like building blocks with glass vases, bowls, plates etc. to get the desired affect and then glued to stay in place. We’d been collecting glassware from second-hand shops for a while and it took nearly a whole day to make the 6. We decided to give the three largest to Patience’s Mum, Sylvia, for Christmas, as they looked great in a cluster.